Tuesday The Sky, the new Ambient Instrumental Rock project by Fates Warning guitarist Jim Matheos, will be releasing its debut album ‘Drift’ worldwide on June 30th, 2017 via InsideOutMusic. Jim Matheos checked in with the following comment about the song: “With “Today The Sky” you get a fair representation of the overall direction on “Drift” - a lot of layered guitars and some inspired drumming from Lloyd Hanney (God Is An Astronaut). This particular song, the first to be written, started off as an idea for Fates Warning‘s last record, "Theories of Flight". But it became apparent early on that it wouldn’t quite fit without some major changes. 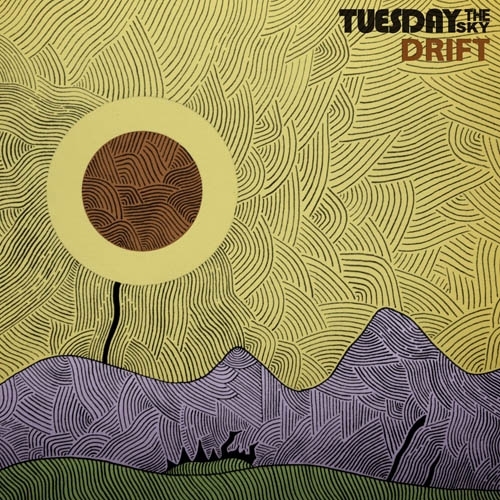 Rather than re-shaping the song to fit the FW mold I decided to write a record to fit the song.” Tuesday The Sky and “Drift” sees Matheos expanding the boundaries of his playing and sound even further than ever before. “Drift” came together in the downtime between Fates Warning finishing “Theories Of Flight” and the beginning of the touring cycle, enabling Matheos to explore a type of atmospheric and instrumental music you might not expect of him. Taking cues from artists like Brian Eno, Boards Of Canada, Sigur Ros and Explosions In The Sky, he explores expansive textures and ambient electronica, as well as some of the most colossal riffs he has ever produced. “Drift” also features the talents of God Is An Astronaut’s drummer Lloyd Hanney, who provides a rhythmic backbone that is at once punchy, precise and restrained when necessary. Other guests include long-time OSI collaborator and former Dream Theater member Kevin Moore who plays keys on two songs as well as Anna-Lynne Williams (Trespassers William, Lotte Kestner), who provides ethereal vocals (of the non-verbal kind) on two other songs.